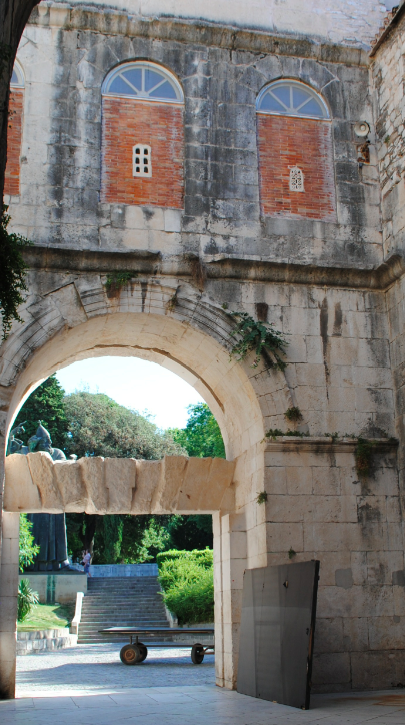 One of four gates into the ancient Palace of Diocletian is Porta Aurea – Golden Gate. The ancient Roman palace was built between 295 and 305 AD for the emperor Diocletian to serve as a city palace, sea fortress and luxury villa. 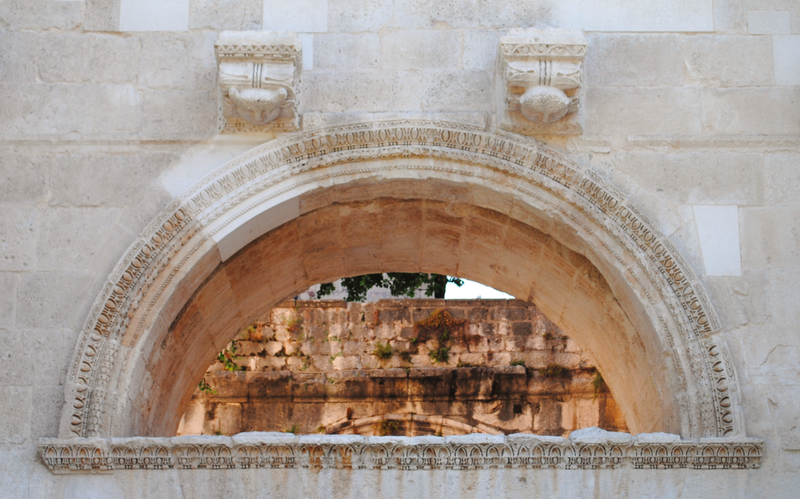 The Porta Aurea is on the north wall of the palace and was once richly decorated with sculptures and statues adorning the niches. Egg and dart decorates the carved stonework of the archway. 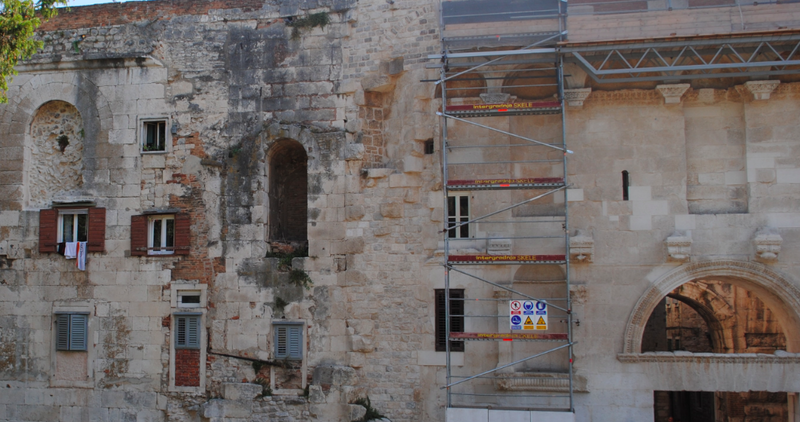 The Palace of Diocletian is a UNESCO World Heritage Site.